I’m melting in the summer heat. Even the mornings are humid and hot and I’d rather be eating ice cream for breakfast just to cool me down. But since I probably shouldn’t do that, I found a great compromise with breakfast popsicles. Whip up a batch on Sunday night and you’ll have a smart, portable breakfast waiting for you in the freezer every morning of the week. They taste like a treat, so you (and more importantly, your kids) would never guess that they’re actually made with healthy ingredients. 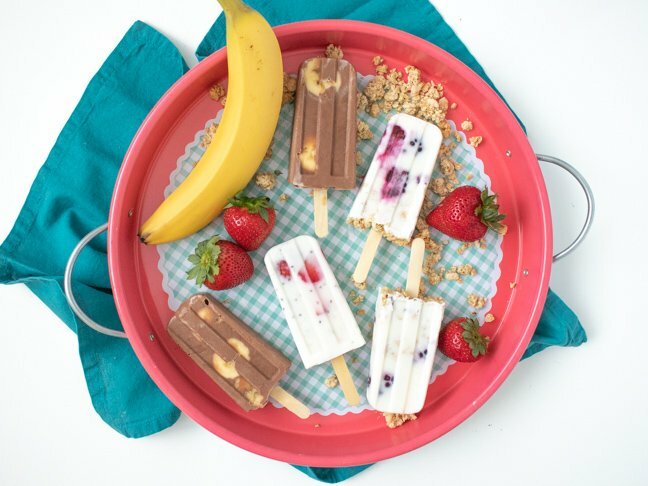 All three varieties of these breakfast popsicles are made with the same Greek yoghurt base, and you can use dairy-free options with coconut milk or almond milk if you prefer. Sweetened with a bit of honey and your favourite fruits, they’re as good as eating dessert for breakfast. 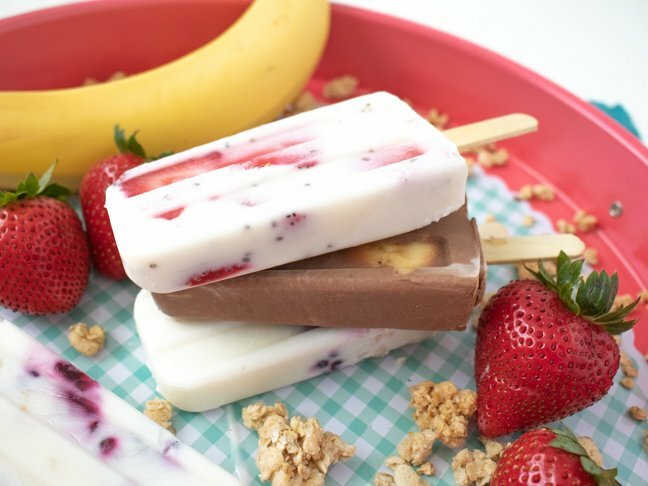 I like making a variety of flavors so that I don’t have to eat the same thing every day, so I mix together the yoghurt and milk in one big bowl and then use that as the base for all three kinds of breakfast popsicles. 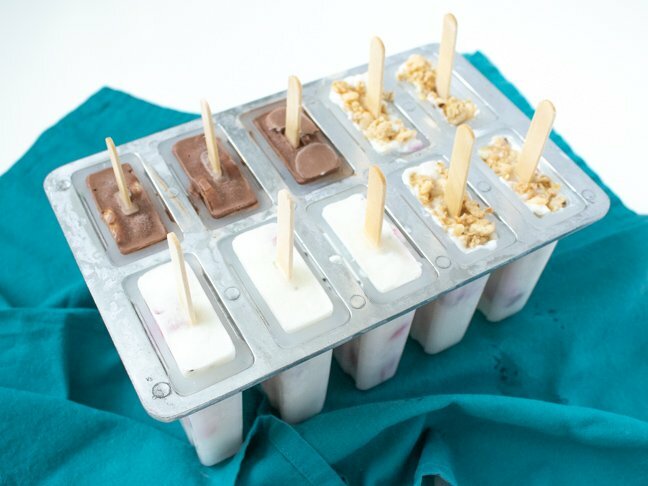 I start with the muesli popsicles, layering the ingredients together in a mold. Then, I add the chia seeds and let the yoghurt sit for 30 minutes and layer the mixture with fruit inside the mold. Lastly, I add the cocoa and peanut butter to the remaining mixture and layer it with bananas. 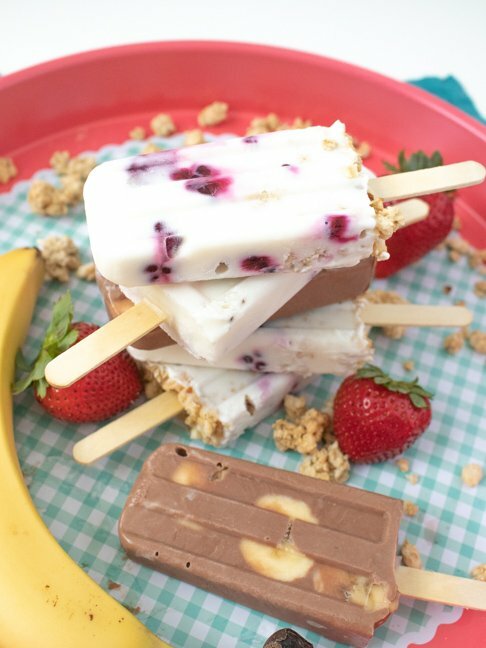 Three kinds of pops, minimal dishes thanks to one yoghurt base. That’s a win in my book! Holly Wade is the content creator and editor behind the DIY, food and lifestyle blog Club Crafted. Started in 2016, Club Crafted is devoted to sharing fun, colourful ideas for creating a happy, handmade life with easy-to-follow project tutorials and recipes. When she’s not blogging, Holly is a professional marketer and freelance writer living in sunny Southern California with two spoiled cats. You can find Holly across Pinterest, Instagram, Twitter and Facebook @clubcrafted.